Our tour began with a stop at the Old Olympic Stadium; built on the foundations of a 4th century B.C. stadium, this stadium hosted the first modern Olympic Games in 1896. 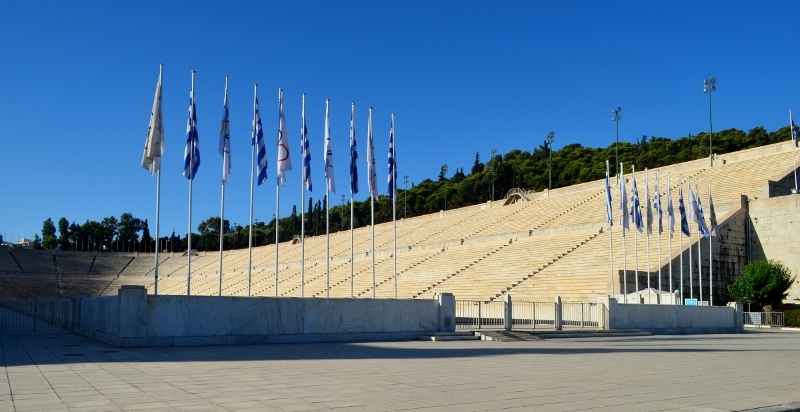 The only marble stadium in the world, this is where the Olympic torch is lit. 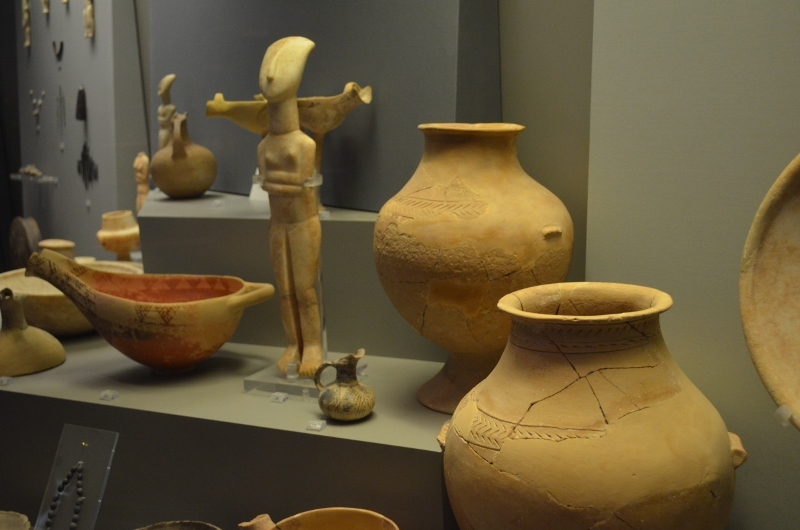 Next was a guided tour of the National Archeological Museum of Athens. 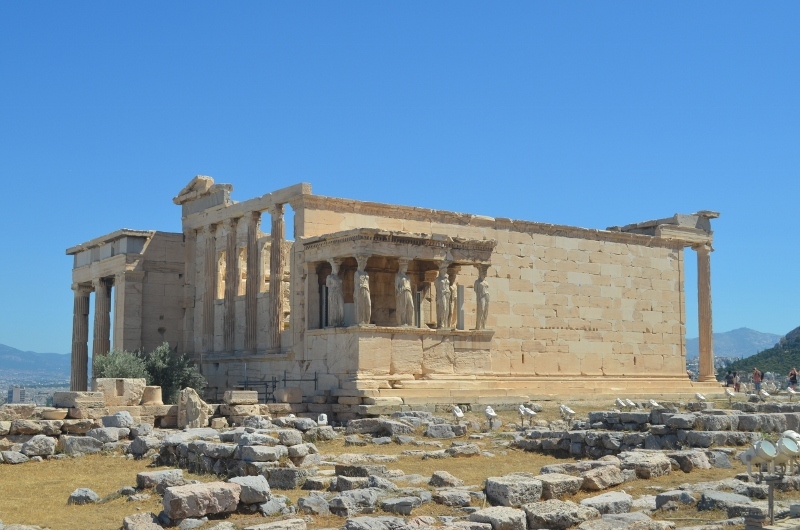 We took so many photos here; it houses one of the richest collections of Greek antiquities in the world, including the Mask of Agamemnon and the Statue of Posideon. 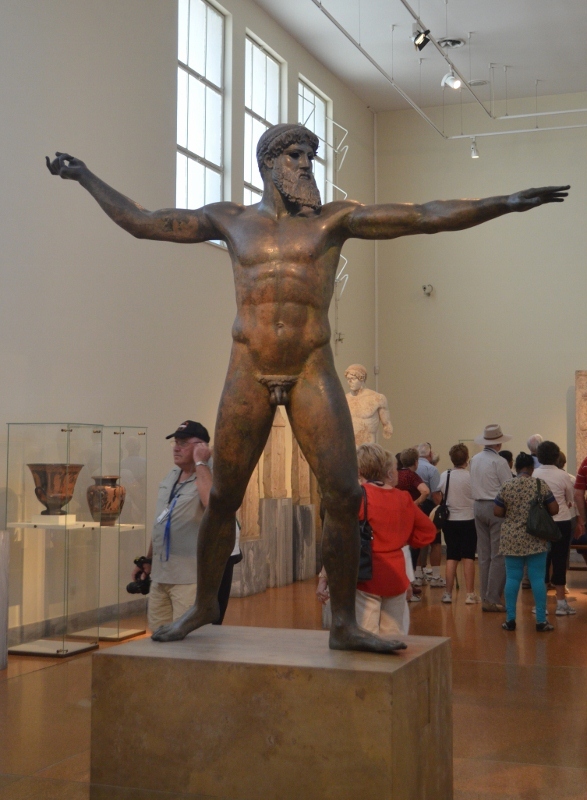 We also spent a lot of time in the exhibition of the Antikythera shipwreck which is dated to 60-50 B.C. 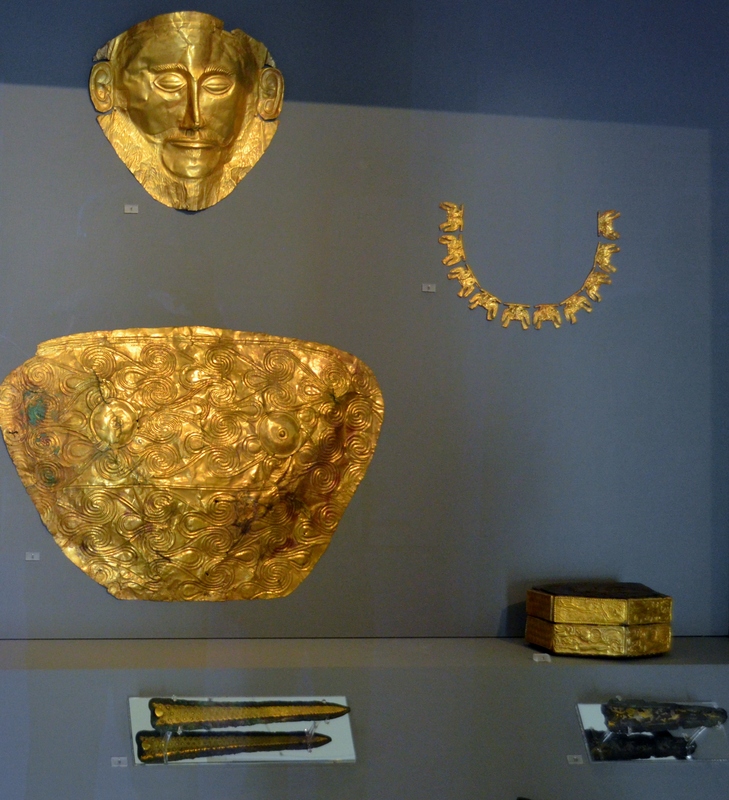 Treasures recovered included bronze and marble sculpture, glass vessels and golden jewellery. 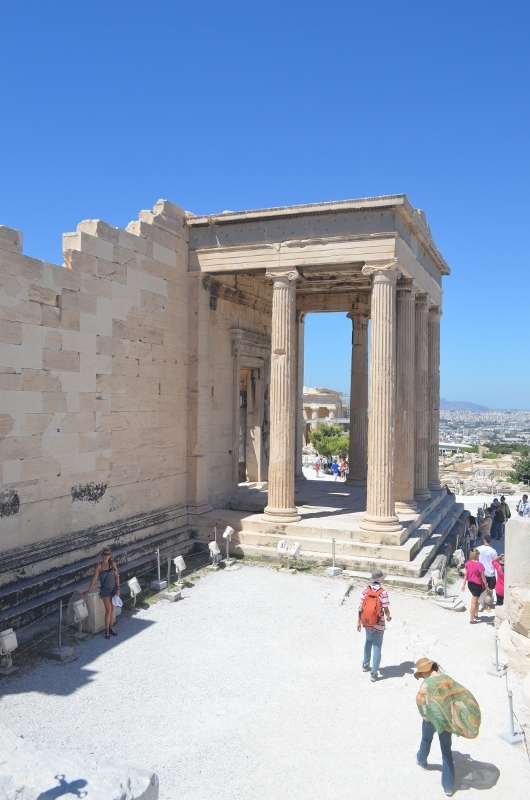 We then drove on to the highlight of the day, climbing 80 steps through the Propylaea, the gateway to the Acropolis, the Pantheon which is an immense structure and the sacred site of Erectheum and the graceful Porch of the Caryatids. We walked on some of the original pavement – very carefully – some areas were so worn that a type of membrane had been laid with concrete over the top for safety. 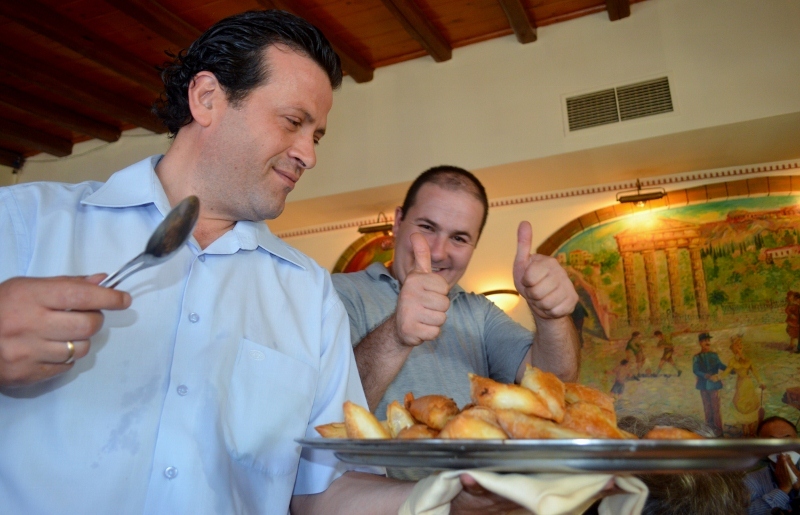 After all this exercise we went to a lovely restaurant for a buffet lunch, lamb meatballs, pasta, moussaka, a filo cheese pie, greek salads, breads accompanied by red and white wines…delicious! 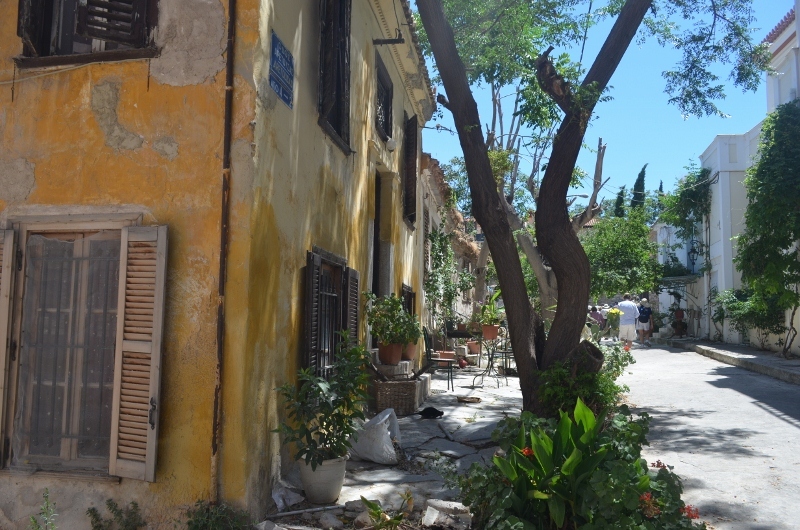 After lunch we walked to The Plaka, a shopping district with cobblestone lanes, colourful stores, tempting cafes and local tavernas. We liked Athens very much. The people are so friendly and it is a lovely city. 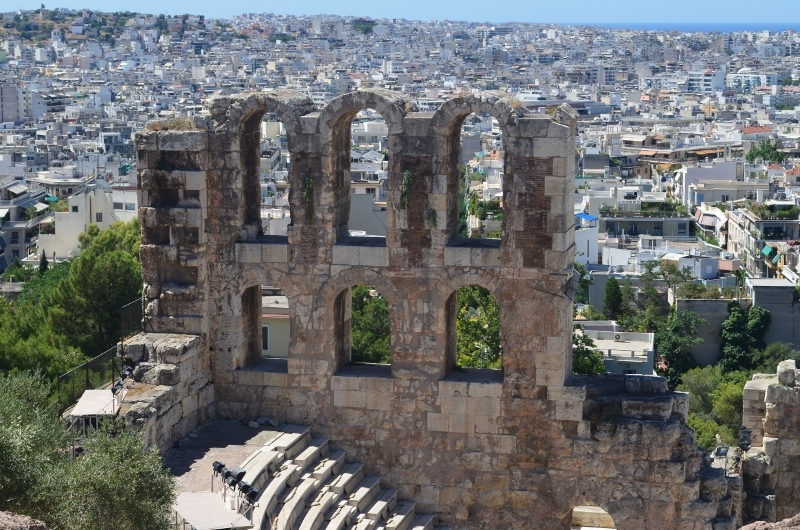 No highrise here, as no building can be higher than the Acropolis. We packed a lot into the day and it was great to finally get back “home” to have a refreshing swim. We ate so much at lunch we didn’t need to eat any dinner! 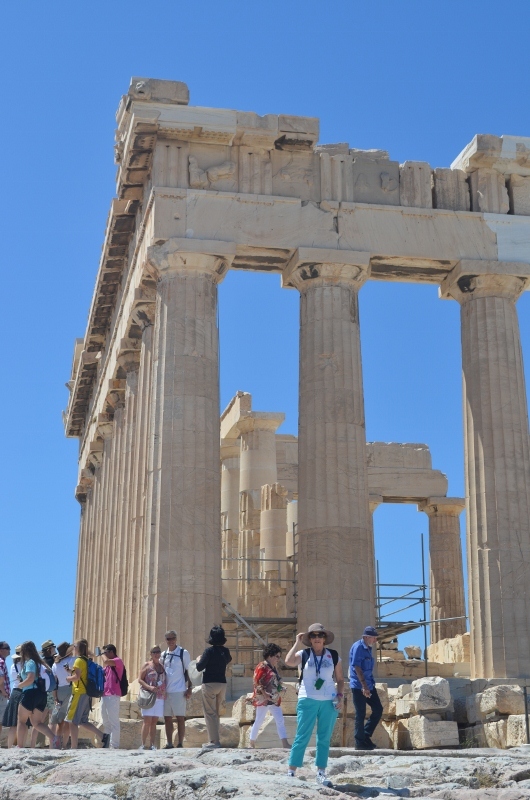 Posted on June 26, 2013 by Jill •	This entry was posted in Europe, Travel and tagged Athens, museum, sea princess, travel. Bookmark the permalink.